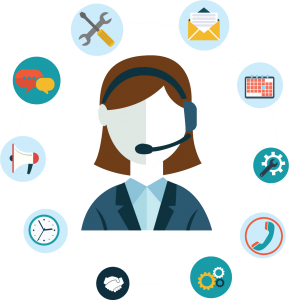 We strongly believe in collaborating with our clients, understanding their business needs and coming up with the IT solutions that help deliver the best results, along with being the most cost effective methods in the market. Our team of highly skilled developers are adept in industry leading engines like Android Studio, Xamarin and Swift Codebase. With over 150+ application to our credit, we’ve created native applications that have frequently appeared in the top 10 charts on both Google Play Store and Apple App Store. One of our strongest fortes, Futive TechNet team has developed mobile games for the last 8 years, releasing some of the most notable titles on Google Play and Apple App Store. Our team specializes in building action, simulation and arcade on popular engines like Unity, Unreal Engine, Cocos 2D and Buildbox. Our Virtual Reality games lineup uses start of the art features that make us stand apart from other publishers. Desktop applications are still the most powerful platform if your business demands cutting edge graphics and power performance capabilities. Our team keeps up to date with the latest technologies, developing custom tailored products to manage your business needs. From system-level programming to encrypted data recovery, disaster recovery and cloud services management, our delivery record has been impeccable. We pride ourselves as being the most cost effective web makers in the market. We offer our clients the most affordable solutions to building up their website through custom designs, development responsiveness. Our clients receive a comprehensive website design quotation, along with audit reports, so you know all the services you are signing up for. Our team of skilled developers and designers excel in HTML, PHP, WordPress, Magento, OpenCart and Ruby on Rails which are the world’s leading web development platforms. We offer the most comprehensive web domain and hosting packages to our clients, using the latest technologies like ASP.Net, PHP for maximum security. Whatever the business type and size maybe, we’ve got the packages for all. Get the best and affordable disk space and bandwidth packages, along with free domain registration. For larger scale corporate enterprises, we’ve got the ultimate unlimited packages, with dedicated maintenance staff, ensuring 0% downtime. From brand naming to logo design, our team creates specialized strategies for each client to lift their business visibility from ground up. Our brand development strategists go far beyond than just designing your brand’s name or logo. We design brochures, packaging, business cards, and presentation templates, along with social media campaigns, professional portfolio and marketing campaigns to put your brand on the map. We have extensive experience of building desktop applications that can run offline and independent of web browsers, our custom developed desktop applications ensure faster data access easy content synchronization and efficient speed in intranet and extranet. The desktop applications developed by Futive TechNet are robust, highly secure and free from bugs. From keyword indexing to campaigned targeting, we help your app, website or any online product unlock the algorithms of search engines and gain the visibility and organic growth it deserves. Our customized and proprietary keyword research tools integrate the best in class practices to bring traffic, increase overall conversions and ranking on all popular stores. We help build a social visibility strategy based on each client’s specific end goals and budget. From digital rebranding, to creating stimulating campaigns on the most popular channels like Facebook, Twitter, Instagram, YouTube etc., we enhance your online presence and the growth of apps, products or services. Futive TechNet considers their clients as part of the team. We take your requirements, build up a strategy, keeping you in the loop at all times. The team believes the success to any collaboration varies directly to how engaged the client is kept with the processes. Our time management and cost effective strategies rely heavily on continuous processes auditing from skilled team members, who record every step of the process to ensure and in-depth track of what’s going on and who’s doing it. Streamlining timely delivery is of equal importance as the processes in our belief system. Our QA staff is always on the hunt to ensure that the solutions we provide to our clients are error free and meet all the standards. We take a deeper dive into what a client, project or organization really requires, and how they intend for the product or solution to work, then develop a highly customized plan, that tailored to meet the specific requirements of each client. We inject the tools, skills and workforce required to complete the project in optimum time, maintaining a highly scalable and budget friendly package, which can be expedited at client’s will. The IT solution, product or technology goes through a rigorous QA process, which ensure it meets the highest standards set in the international markets. The product, technology or solution gets integrated into the existing systems, enhancing automation, reducing manual labor through process streamlining. A strong implementation is ensured in order to gain maximum productivity. Are you a new brand looking to make to the top of the charts, a client looking to launch a new corporate identity or a well-established IT company facing resource constraints or planning to extend your IT department? Futive TechNet has the answers. We’d love to hear from you and help out in any way we can.